It helped reduce inflammation markers, cleared my skin and eliminated mild digestive issues. I’m used to traveling with gluten-free food and cooking most of my meals at home so that never really changed. Yes! Eggs, almond milk, and occasionally goat cheese. But I don’t eat eggs everyday. I have them on rotation, so I eat them maybe 1 to 3 times per week max. Favorite thing about your kitchen: Tons of natural lighting and lots of cabinet space. Least favorite thing about your kitchen: No dishwasher! Yes, I love using the spiralizer for making zucchini “pasta” or cucumber in my salads. A mini Cuisinart is great for making dips and homemade salad dressings. And I love my NutriBullet for making fruit or veggie smoothies in the mornings along with my powdered supplements. I use my deluxe dehydrator to make kale chips more than I used to. I use the Blendtec blender to make super easy purees, hot soups, or smoothies. Also, I love non-toxic ceramic non-stick cooking pans and my All-Clad pots in all sizes. Because I’ve been gluten–free for so long, I already had made modifications by replacing my toaster oven and purchased all new containers to store coconut flour and other gluten–free/paleo flours/foods. They are already accustomed to the fact that I am gluten-free, and they don’t really notice a huge difference except that I don’t use certain ingredients in my cooking like I used to. If they are cooking for me, then they know not to include those ingredients in my meals. And because I love to entertain for friends, they have never complained about the lack of taste or flavor in my cooking and don’t seem to notice the difference! Not really, I still never use the microwave, not even to warm up leftovers. I use my toaster oven a couple of times per day or heat up food in a non-toxic ceramic pan or cast iron pan. Soup and stews in the winter. Roasted chicken, veggies and sweet potatoes, too. 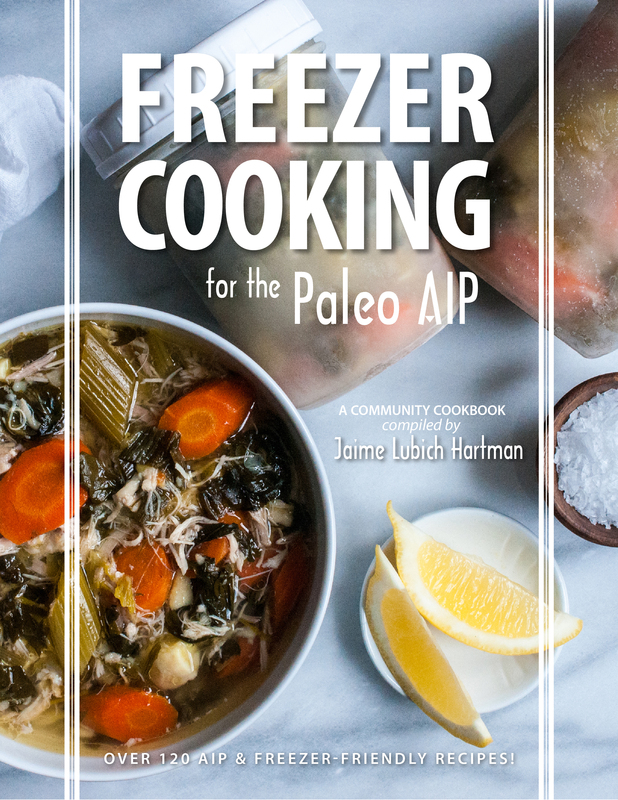 The Paleo Kitchen by Juli Bauer and George Bryant and The Autoimmune Paleo Cookbook by Mickey Trescott. Donate all your non-paleo foods to friends and family. Then plan a fun trip to the supermarket, try a new cooking tool(s), and maybe pick up one or two new AIP cookbooks. Maybe even find a cooking class. Then, while you are still learning, invite some friends over and have a small tasting menu and experiment. And take your time, it only gets easier! You can find Margaret’s culinary creations and helpful functional medicine tips on her blog, on Instagram, or on Facebook. Not sure if you can help me. I have purchased the aip plan from Mickey and Angie, and have tried following it several times. My problem is that I suffer from very low energy due to bad health, and after about 4 days on the aip diet I find I have extremely low energy – even to the extent of finding it difficult to walk. I know people say they may have some withdrawal symptoms, but mine are extreme. I use a lot of aip recipes, but find I can’t cut out grains and white potatoes altogether, due to these extreme withdrawal symptoms. Do you have any advice, or are some people unable to fully adopt the aip diet? Hi Anthea! The reaction you are describing is not typical–you should not be so tired starting the diet. Some people accidentally go too low-carb when adopting AIP–could this be it? I’d suggest trying to eat lots of starchy carbs like sweet potatoes, plantains, winter squash, taro, or yuca to keep your energy levels up. If that doesn’t work, working with a practitioner to troubleshoot may be necessary. Wishing you luck!